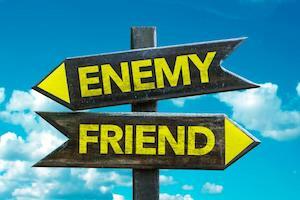 Home Business4Law Technology for lawyers Lawyers and Technology: Frenemies or Collaborators? The relationship between lawyers and technology is complicated. Many lawyers—especially those that did not grow up with computers—have a curious ambivalence towards it. They adopt technology for personal use but are reticent to embrace it professionally. They often tout their firm’s ‘cutting-edge technology’ but do not provide a powerful voice to professionals within the firm charged with deploying it.